Still promoting my Beyond books. But when you do this you also need to help other writers promote their books. It is only fair as we are all in this together. And sometimes that can be fun as the photo at the left shows. Cut line explains it briefly but more on that shortly. First I need to mention the downside as other published authors may run into this, if not with this bookseller, but another one, or two. Up to last week, my encounters with booksellers have been amicable and polite. All had said they would at least see about carrying my Beyond Blood in their store. One even opted to carry a copy of each Beyond book. A couple of others I have to follow up on but they are part of a big chain, which has been helpful at other branches, so we will see here. Now the bad and the ugly. I have also been approaching independent bookstores, but the latest venture there has left a sour taste in my mouth. Last week I entered Ben McNally Books in downtown Toronto. I always like to check to see if they already have a copy of my book. Ben McCally Books has a weird book placement system. No books by category – no signs either at the top of the bookshelves. Mystery,science fiction are all placed in with all fiction – alphabetically by author. So be it if that is the way they want to do it – their prerogative. I approached the owner, Ben McNally about carrying a copy of Beyond Blood. As always, I stated it is not self-published but is published by a small Canadian trade publisher and handed him my business card and now that I have more – a couple of bookmarks. He barely glanced at them and said, ” Sorry, no.” He looked about as sorry as a person arrested who shows no remorse for his crime. He said he didn’t want books by small trade publishers. Then, I turned and left the store. And you know, there weren’t many other customers in the store. Which says something. I went directly to the big downtown Indigo store and what a difference. Manager very interested in carrying my Beyond Blood in that Indigo store. Indigo Chapters online has carried both Beyond books from day 1 for each, including print copy and e-copy (Kobo). Also this downtown Indigo bookstore is very busy – lots of customers. Because of the positive response, I bought a book there to give as a gift to a friend. And that brings me to what goes with the photo at the top. I have started doing brief skits featuring Dana Bowman, the main character in the Beyond stories. I give Dana instructions to talk about herself and to read a bit from Beyond Blood. Dana being Dana doesn’t listen. She does talk about herself some – but connects it to talking about me, her author. Dana claims she is instrumental in writing the Beyond stories. Oh, to a certain extent. I’ve been told I’m channelling Dana. I don’t mind her talking about writing and some of my quirks – if related to writing, but she can leave my plants out of it. And when I say to read, she needs to read from Beyond Blood. And that hair in the photo above, taken by the editor at my publishers at their fall book launch, November 21? Dana has short “boy style hair.” Now she has decided to grow it somewhat. Really? But the skit went over well at Blue Denim Press’s book launch. I was happy to bring along a few friends and to pre-promote the book launch and the authors launching their books, Shane Joseph and Chris Canniff, including reviewing their books in the two previous posts on this blog. The launch also had a Flamenco dancer and her husband providing the music on his guitar. The funny thing here is Michael, the husband, used to come to my East End Writers’ Group when he and Lesley lived in my area. So did Shane when he lived in Toronto. And I knew Chrit from Canadian Authors Association Toronto Branch. See, we writers are all connected, so we need to help each other. Certain booksellers need to learn that too. Then they might get more business. Dana Bowman will be making one more appearance before Christmas on Dec.4 and Sharon A. Crawford will have her Beyond books for sale at the Toronto Heliconian Club Art and Gift sale, Saturday, November 28. See my Gigs and Blogs page for more info. Here is my review of novelist Christopher Canniff’s book Poor Man’s Galapagos, also being launched by Blue Denim Press November 21, 2015. But first a bit about Chris. Christopher has been mentored by two of Canada’s top writers, MG Vassanji and David Adams Richards, at the Humber School for Writers. He is the current President of the Canadian Authors Association Toronto Branch (www.canauthorstoronto.org). He shortlisted for the 2010 Matrix Litpop Awards for fiction, and he won a short novel contest with LWOT Magazine in Montreal. He has published in Descant Magazine Issue 152 (Spring 2011), and he also shortlisted in the 2012 Ken Klonsky Novella Contest with Quattro Books. He has sold two radio scripts to Falcon Picture Group in Chicago, Illinois, USA for a nationally-syndicated radio program, and he has published with Tightrope Books in Toronto. Christopher moved to Ecuador to begin writing. There, he read over fifty books of world literature, learned a new language and culture, and taught English at an Ecuadorian university for WorldTeach, a non-profit and non-governmental organization based at the Harvard Institute for International Development. While in Ecuador, Christopher began work on two novels, one of which became Poor Man’s Galapagos. He lived briefly in Quito (the country’s capital) and, for six months, lived with an Ecuadorian family in Portoviejo (literally translated, “old port,” a dusty town 30 kilometres from the coast, said to have been relocated from beach dwellings as pirates chased the residents further inland.) Christopher took culture, language and history classes about Ecuador, and worked with Plan International, an organization with the aim of improving Ecuador’s faltering rural education system. Christopher obtained a Mechanical Engineering degree in 1995 from the University of Toronto, and he is a registered Professional Engineer in the province of Ontario. He is married to Roxanne, and lives with his son Colin and daughter Abigail in Windsor, Ontario. Christopher Canniff’s latest novel Poor Man’s Galapagos is the coming-of-age story of an 18-year old university student, Tómas Montgomery Harvey. But that’s where similarity to the usual coming-of age novel ends because of the complicated plot Canniff has woven. First there is the setting – a small Ecuador island, Isla de la Plata. The novel is set from August 1987 into 1988. A war between Ecuador and Peru has been ongoing for many decades. Military conscription is mandatory and the bottom line for Tómas is he is afraid to go to war, afraid of being killed. This is first hinted at in the novel’s beginning when Tómas, working with student revolutionaries, does not have the nerve to light and throw a Molotov cocktail at a passing government vehicle. Friends and so-called friends of Tómas and his father have differing approaches to keep Tómas out of the military. His friend, Juan Carlos, the newspaper editor of the island newspaper and a former lawyer, tries to go the court route with conscientious objection. Edwardo Delgado, a long-time friend of his father, at his father’s wishes, hires Tómas to work as the engineer in charge of the large hotel resort Edwardo is building, which provides a means for Tomas to get a military card and an exemption from military service. Tómas goes along with both, with disastrous results. As Juan Carlos tells Tómas “What people perhaps should do, and what they actually do, is often very different.” That includes Tómas’ father, the legendary freelance photojournalist, Montgomery Harvey. All his life Tómas has lived in the shadow of his father, always feeling no love from his father, who spent more time travelling for his stories, than with his son and wife, Veronica. As the novel opens, Montgomery has been linked in the press with embezzling funds and after a meeting with Tómas on the beach, he says he is leaving for good. After his father departs, Tómas decides he has to reconnect with him and find his birth mother. Only by choosing his own options, and following through, despite many hurdles, is Tómas able to transition through the murky road of becoming an adult. The novel is told with the alternating viewpoints of Tómas and Montgomery Harvey, which works well to provide details to the reader, but never revealing too much at a time. To avoid any spoilers, let’s just say that Canniff builds up the plot, piece by piece, keeping the reader’s interest. Although the novel, starts a bit slow (despite that Molotov cocktail), hang in there, it picks up very soon. Your best bet is to keep on reading to the end in one sitting, if possible, like I did while a wind storm occurred outside. Christopher’s books are available at the usual places such as Amazon and Indigo. He is also on Goodreads. For more information about Shane’s books and where they are available go to his publisher’s website. See you there on Saturday. I’m the guest author. As promised, here is my review of novelist Shane Joseph’s latest book In the Shadow of the Conquistador. But first a little bit about Shane Joseph in his own words. Shane Joseph is a graduate of the Humber School for Writers in Toronto, Canada. He began writing as a teenager living in Sri Lanka and has never stopped. Redemption in Paradise, his first novel, was published in 2004 and his first short story collection, Fringe Dwellers, in 2008. His novel, After the Flood, a dystopian epic set in the aftermath of global warming, was released in November 2009, and won the Canadian Christian Writers award for best Futuristic/Fantasy novel in 2010.His latest release is In the Shadow of the Conquistador, a novel set in Peru and Canada. His short stories and articles have appeared in several Canadian anthologies and in literary journals around the world. His blog at www.shanejoseph.com is widely syndicated. His career stints include: stage and radio actor, pop musician, encyclopaedia salesman, lathe machine operator, airline executive, travel agency manager, vice president of a global financial services company, software services salesperson, publishing editor, project manager and management consultant. Self-taught, with four degrees under his belt obtained through distance education, Shane is an avid traveller and has visited one country for every year of his life and lived in four of them. He fondly recalls incidents during his travels as real lessons he could never have learned in school: husky riding in Finland with no training, trekking the Inca Trail in Peru through an unending rainstorm, hitch-hiking in Australia without a map, escaping a wild elephant in Zambia, and being stranded without money in Denmark, are some of his memories. After immigrating (twice), raising a family, building a career, and experiencing life’s many highs and lows, Shane has carved out a niche in Cobourg, Ontario with his wife Sarah, where he continues to work, write, and play in a rock band. Shane Joseph, believes in the gift of second chances. He feels that he has lived many lives in just a single lifetime, always starting from scratch with only the lessons from the past to draw upon. His novels and stories reflect the redemptive power of acceptance and forgiveness. Shane Joseph’s latest novel, In the Shadow of the Conquistador. deals with people’s expectations when they are young, what they do to attain them, and coming to grips in middle age with the results. Joseph’s two main characters, long-time friends George Walton and Jeremy “Jimmy” Spence meet as school children living in Toronto’s east end. George is aggressive and Jimmy is withdrawn. However, the two become close friends, with Jimmy, like the novel’s title, living in George’s shadow. 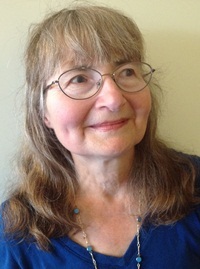 A third character, Denise Langevin, whom both men love but only one marries, keep the two men connected, sometimes in mind only, with several separations, sometimes due to job locations, sometimes due to their personal conflict. There is also a fourth “character” – the novel Conquistador, written over the years by George, which is inserted as a parallel to the main story. Conquistador is Spanish for conqueror and lady-killer, both of which apply to George’s modus operandi going through life. George’s novel tells the story of the Spanish conquering the Incas in Peru in the 1500s, particularly the Spanish leader, Francisco, who like George, is compelled to conquer – in his case – the Incas. The novel begins with the two men, now middle-aged, meeting in Lima. Peru, at George’s request, after a 20-year separation. Ostensibly they are there to climb the Andes Mountain to the Machu Picchu, an historic site from the Incan reign before the Spanish conquest. As they hike the treacherous route with their guide Valdez, Jimmy’s and George’s past parades before them, taunting and terrorizing them. In Lima they meet two women, Ali and Bea, 15 years their junior. Ali is a spitting image of Denise and shy Bea has a large facial scar. The inevitable seems to be building up, but just when you are expecting it, Joseph adds a few twists. Joseph intertwines this past with the present, each driving the novel forward. The reader learns that George is a womanizer, to extremes, and that trait cost him a possible political career, his career in academia and his wife, Denise. Denise turns to Jimmy, but he is a control freak and as neither man let her “do her own thing” she leaves them both and returns to her native Montreal where her mother is dying. The difficult climb up the mountain, done in spurts over several days acts as a catalyst for George and Jimmy to sort out the consequences of their lives. As they interact with each other and the two women, both learn that you can’t always get what you want in life, but the alternative can be a better road to take, or if you live too hard and selfish, sometimes it is too late to do anything but accept the consequences. Joseph continues to write a compelling story with real-life characters that readers can relate to. Only one negative – I wish the actual years for the past would have been headlined at the beginning of each pertinent section as I got confused a few times, especially when Denise and Jimmy meet after seven years of not seeing each other and Denise has aged, but the timeline is not as far along as I thought. The only dates are the ones at the top of Denise’s letters to her mother and the odd reference by Jimmy to starting university in 1968. And I never did figure out exactly where in middle age George and Jimmy are when they meet in Peru. But dates aside, I suggest reading In the Shadow of the Conquistador in one or two sittings to get the most out of it. Shane’s books are available in the usual online places like amazon.com. He is also on Goodreads . Read Shane’s blog posts Also included here is a list of Shane’s published books. Dana Bowman, the main character in my Beyond Blood novel took over my presentation spot at the East End Writers’ Group 15th anniversary last week.This is actually my writing critique group and it’s been happening in Toronto’s east end for 15th years – for 13 years at my house, then at a couple of local businesses nearby and finally from May 2014 at the S. Walter Stewart Public Library. It was a lot of work with a lot of snafus popping up at the last minute – presenters having to cancel – all for good reasons, but I almost went batalistic when one of the two panelists on self-publishing cancelled a week before the event. Fortunately I was able to get another EEWG member with self-publishing experience to fill in and he (Steven Biggs) was awesome. So, was the other panelist (Ellen Michelson). The presentations were divided into non-fiction, poetry and fiction. Each presenter could do whatever they wanted in their short time-slot. So we had an author interview set up as a letter and reply to and from a Toronto newspaper advice columnist. Another author, who writes opera, did a Power Point presentation (complete with music) on an opera he wrote for a company that involves the homeless in producing and presenting operas. Lots of readings. Yes, I was channeling Dana – or that was supposed to be it, but it got to the point where well, who was channeling who. Dana completely took over. But it got everyone’s attention, interest and some laughs. Maybe I’m a closet actor. At any rate, I plan to take Dana on a sort of tour – well somewhat limited as I have just two acting engagements lined up: one for Dec. 4 at a fundraiser in Toronto for Syrian refugees. I’ll be posting that shortly on my Gigs and Blogs page connected with this blog and also on my website http://www.samcraw.com. Meantime, the next couple of postings here will feature my book reviews of a couple of other Blue Denim Press authors – Shane Joseph and Christopher Canniff – who are launching new books at 3 p.m., November 21 at Paintbox Bistro in Toronto. Dana will be doing her skit here too. See below for the launch info. If you are in the Toronto area then, you are invited to come to this launch. Click on Beyond Blood book cover at the top for where it is available.